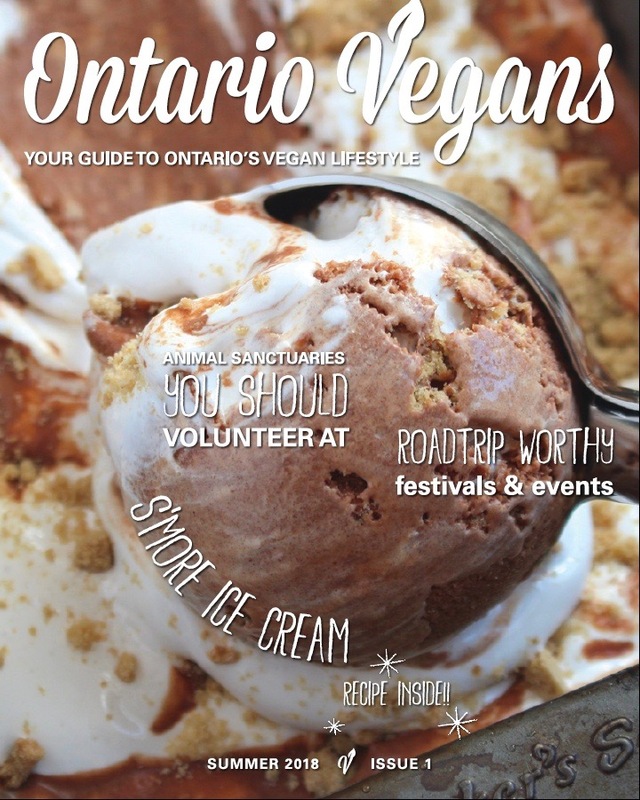 We are so excited to share one of our favourite recipes with Ontario Vegans Magazine. Now you can learn how to make this easy and delicious Tomato Lox on Stokes Creamy Chive Cashew Cheese by getting a copy of their magazine. Vegan Stokes Cheese is one of the finest brands of vegan cheese available today, but what’s even more incredible is that they are a lovely family operated business! They offer a wide variety of vegan and gluten free products, ranging from Smoked Gouda to Sun-Dried Tomato & Basil spreads. Compassion for animals is at the heart of our values and the foundation of our business. We are so honoured and grateful to be recognized by PETA with the Compassionate Business Award. Some of you may have heard of the major health hazard endured within our living space. With nowhere to go and chaos abound, Tina and Neil Stokes opened their home to the Sustainable Duo to provide safe haven. Without even being present, the Stokes’ reminded us of the compassion and caring behind this movement and why it feels so good to serve all of you. Beyond their incredible act of kindness, the Stokes also run a small passion project around vegan cheese. Vegan Stokes Cheese has a story similar to Planet Protein’s. Initially shocked by the health and cruelty implications of a diet subsisted by animal agriculture, Tina Stokes set out to create her own cheese as she was dissatisfied with the available products and seeking to survive the transition from cheese lover to vegan. Soon after, she began “sneaking” it into the cheese platters among friends. Tina has since left the corporate world to pursue her passion, now making a living off of her remarkable creations. What a story, and an incredible thanks to the Stokes family! See you in SoFla! Vegan Stokes cultured cheeses are “Handcrafted with Passion and Compassion” in small batches, locally in Thornhill, Ontario. So authentic, you might not even distinguish that they’re vegan. 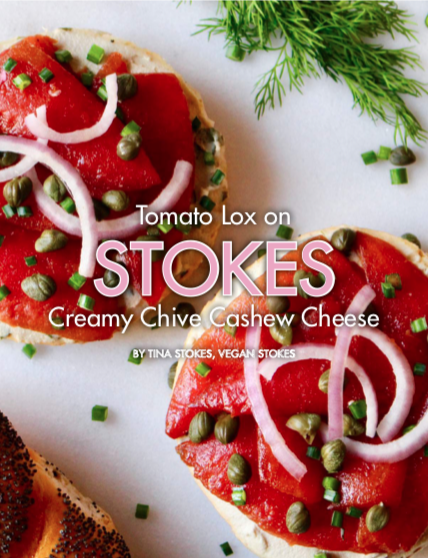 Read about Vegan Stokes Cheese and the interview with founder, Tina Stokes. PETA is playing favourites! They've compiled a list of their favourite vegan foods available in Canada. We are super stoked that Vegan Stokes Cheese made the list as one of their favourite dairy-free cheeses! 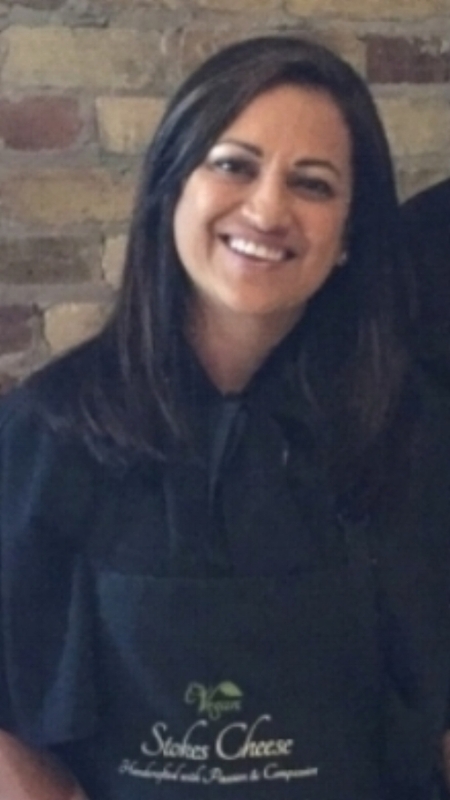 "The vegan cheese company founder has this to say about dairy: “Learning of the dairy industry practices made it clear that the word ‘dairy’ which we all once thought of as ‘wholesome,’ ‘natural’ and even ‘necessary’ is actually none of these things.” Stokes founded Vegan Stokes out of her “passion for compassion,” and the rest is herstory. Every product made by the small, family-operated facility is handcrafted in small batches and hand-wrapped." "The perfect addition to any dinner party, this delicious nut-free, and dairy-free feta will tantalize your taste buds. Pair it with olives and bread, crumble on top of a salad or bake it in flakey pastry, this creamy vegan cheese can be used in so many different ways." We are so proud to support the world’s largest organization dedicated to protecting our most vulnerable individuals: animals. PETA’s strategic and bold advocacy inspires compassion and sparks awareness, prompting the realization that all animals are sentient beings, just like us.